Compaq Business NoteBook Replacement Batteries """
Select Your Compaq Business Notebook Model Below ! Our Compaq replacement battery is built to last up to 3 years and is offered at a great price. All of our Business laptop batteries exclusively use new high capacity Panasonic NNP cell. These cells far exceed OEM specification. We want you to be happy with you purchase from us so we will only sell you laptop batteries with the best li-ion cells made! 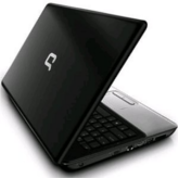 Power your Compaq with one our 6 cell Business Notebook battery. Rated at 6200mAh, its sure to power your laptop for a very long time. Typical notebook batteries from HP are rated at 4400mAh. Our high capacity notebook batteries stores about 30% -50% more power than other leading batteries. Max Capacity laptop batteries exclusively use Panasonic NNP cells which offer the perfect balance between high capacity and long service life. Our batteries retain about %70 percent of its capacity even after 500 charges! Our Presario laptop battery offers consumers a great price point for an outstanding laptop battery. Try yours today and see why. If you can't find the battery model you are looking for then please contact us. We can special order most types of Presario batteries from Max Capacity.